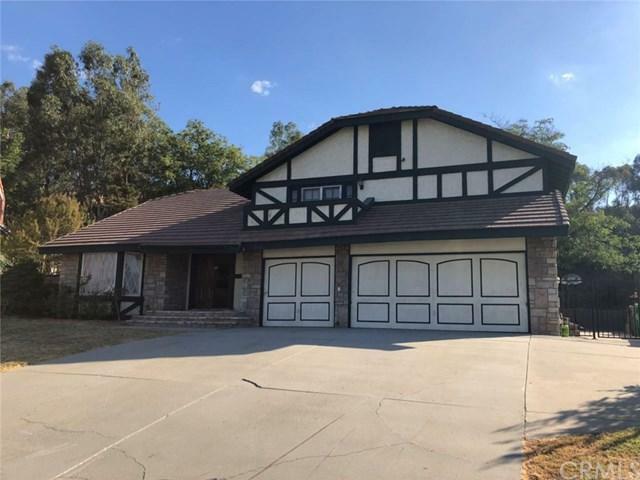 Beautiful 4 bedroom, 3 bath home in Northern La Verne. The family room has a fireplace for the chilly winter evenings. There is 1 bedroom downstairs and 3 bedrooms upstairs. Master bedroom has an amazing neighborhood view and its master bathroom with walk in closet. Laundry is on the way to the spacious 3-car garage with plenty of driveway to park several cars. The 2,343 sqft home sits on a large 16,073 sq ft lot so you still have plenty of backyard. Good school district. Easy to the free way and shopping area. Tenant should be with perfect credit record and good stable income. Rent doesn't cover the gardener cost. This property is covered by the home warranty, and the tenant should pay the trade call fee or any repair cost less than that if service needed. Sold by Karol Curtis of The Curtis Company. Listing provided courtesy of Fuguo Wang of 168 Realty Inc.